I don’t single out actors very often…rather as often as I should, but sometimes a performance is so perfect that it screams to be talked about. Logan Marshall-Green has one of the finest performances in a genre picture than I have seen literally in years. And because it’s a genre picture…meaning sci-fi horror action (not award season bound) it’s never going to be given the proper praise it deserves. 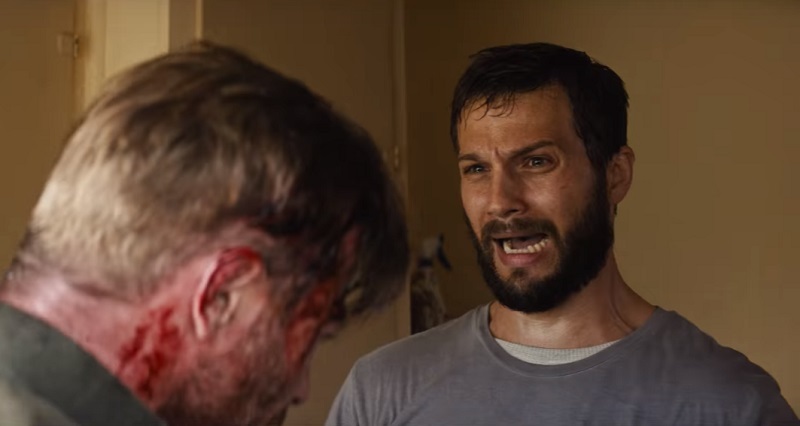 Logan Marshall-Green is BRILLIANT as Grey Trace, who is a self-described technophobe in a future version of earth that is FILLED with technology. His world gets literally turned upside down when his wife is killed by a group of military assassins and he is left paralyzed from the neck down. He sets his mind to solving her murder when he is given a second chance at life, and revenge, when an experimental chip, called STEM is implanted in his spine, giving him the ability to walk again. But along with that ability comes a whole computerized litany of technology-based abilities that he uncovers over the course of the mystery. 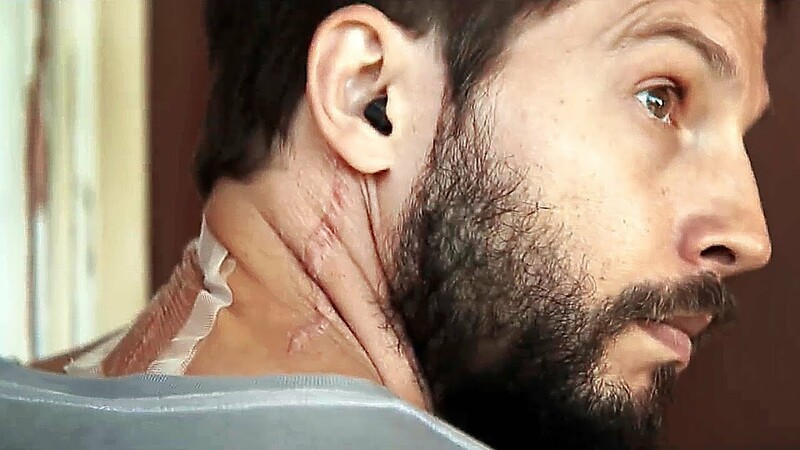 To see how incredible Logan Marshall-Green is in the role, you just have to go to the very first scene of his investigation to find his wife’s murderer, when he breaks into the house of one of the men who ambushed them. I won’t be a spoiler here or anywhere in this article by revealing any surprises or plotlines– but just know that it’s off the hook from here on out. The BRILLIANT part of his acting is to see his face react one way–while his body does the exact opposite. It’s a tour-de-force of acting that I simply have never seen before– and so good that you don’t realize what the actor had to do to be THAT natural and realistic. He reacts EXACTLY as we do as the audience–in complete awe. My only word for it is BRILLIANT (obviously) and I truly hope that this film does well and that Logan Marshall-Green is finally noticed as a top-tier A-list actor. He’s becoming one of my favorite actors to watch, and I can’t wait to see what he has coming up next. You’d probably recognize him from Prometheus, Spider-Man: Homecoming, Devil or a slew of TV shows. Logan, if you ever read this– keep up the good work, man, I love it! Upgrade, is written and directed by the fantastic Leigh Whannell. Everything he touches benefits from his contact. Leigh, you just released my favorite movie of the year. Great job. 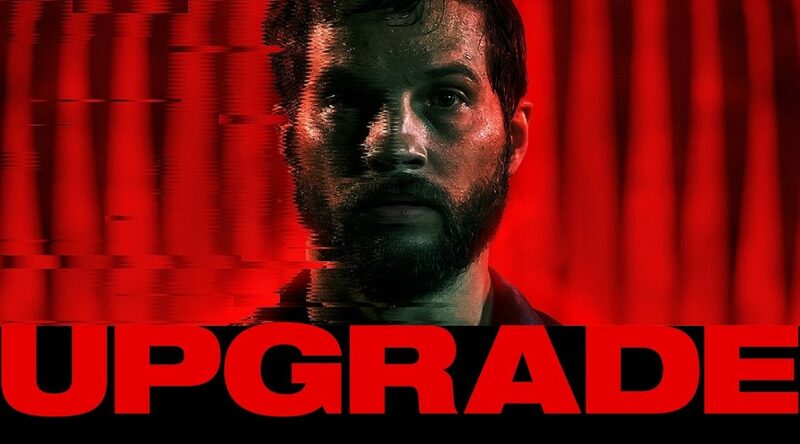 Upgrade (2018) Movie Trailer Leigh Whannell Logan Marshall-Green – Set in the near-future, technology controls nearly all aspects of life. But when Grey, a self-identified technophobe, has his world turned upside down, his only hope for revenge is an experimental computer chip implant called Stem.